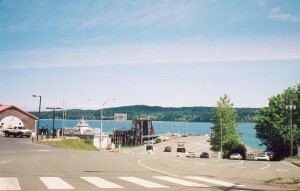 From the Buckley Bay exit on the inland highway, catch ferry from Buckley Bay to Denman Island and discover the culture and landscapes the island has to offer. 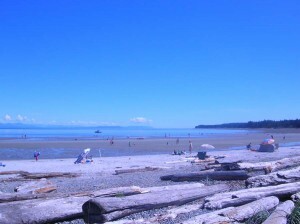 Take another ferry to Hornby Island and visit the jewel of a sandy beach called Tribune Bay where the water is ultra-marine blue some days of the year and so clear, you can see crabs walking on the bottom of the Bay. Both islands have a unique atmosphere. This general area is known for the oysters. 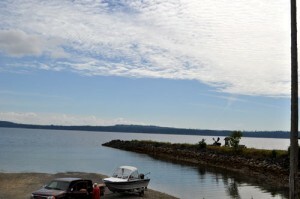 From this small boat launch, you can leave the quaint town of Union Bay with the old post office building, and catch a small craft to Tree Island where the entire island is a nature park and you may be the only one resting on the beach that given moment. Sand and rock formations are unique on this island. Number one picnic area in our opinion. 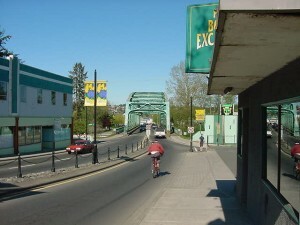 Along the waterfront, past Marine Drive off the Island Highway, you will find Hilton Road. At the end of this small road are some partially sunk ship wrecks. If you paddle a canoe or kayak, you can almost touch the seals, especially at dusk. 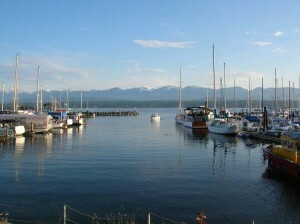 From Royston you can see the Comox Harbour across the bay, very pretty in the evening. The birds that can be spotted here daily are the Heron and Blue Jays. Enjoy the local talent this area has to offer including music, dance, plays or other talented visitors to our area. 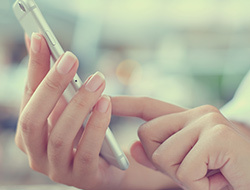 The schedule is on-line, and we encourage you to check out the events taking place in the heart of our downtown centre. 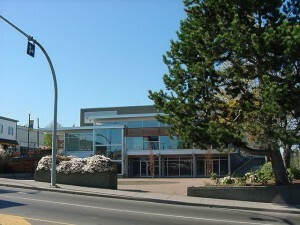 This theatre is located in a plaza within walking distance to the Courtenay Musuem where you will find our local dinasour friends and history. This walkway is a locale favourite. 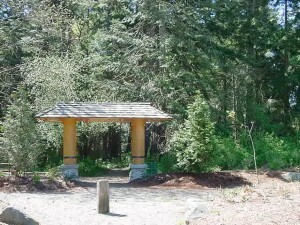 Diverse walkway as you stroll by rivers edge, marina, oceanside, small airport, bird watching pergola/bird sanctuary. Some of the trail is cement, other side is crushed rock. Relatively flat, this walkway is designed for strollers, bikes, and roller blading. 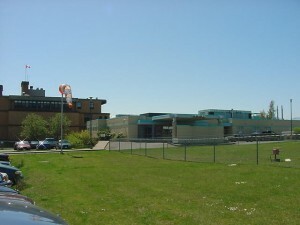 This major hospital is located in Comox with helicopter landing pad. 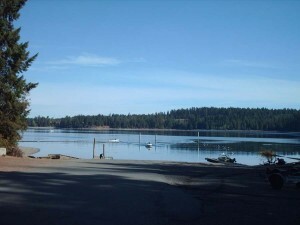 This marina is a fully serviced marina with pathway. Best fish and chips,in the valley. 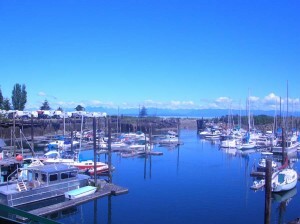 Purchase fish right from the docks or check out the marina walkway with benches and watch the birds fly by. The Marina Park features festivals year round and fireworks once a year. The hub of the summer, this park is very colourful with views of the glacier. 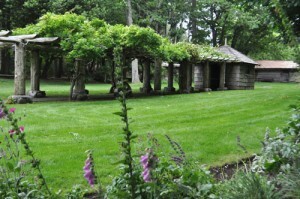 Acres of manicured gardens, this park features a teahouse and historic building with special events and art shows. Once a year the community celebrates this park and money raised keeps it maintained. The gardens are incredible with mature arbours and rock retaining walls. Oceanside, perfect for photos with friends and watching the deer graze. Mark the Filberg Festival on your to do list. This nature park is almost hidden in the trees and features walkways to the beach. Farther down Balmoral Ave is the access to the Goose Spit where one side of the spit is beach and the other side is sheltered with tidal sand and small craft with sails. 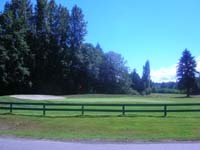 This golf course is really pretty to look at, and is located in the centre of downtown Comox where you find nautical looking shops and cafes. You will find small deer grazing in the golf course year round. The best soup of the day is served in this area, and the Comox Mall is nice to wander through on rainy days. 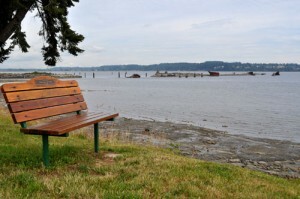 Comox features Nautical Days, Shell fish festival, remembrance day events and the best tennis courts in the valley. 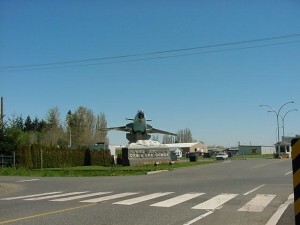 Air Base with museum. 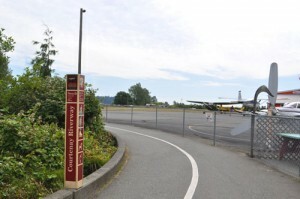 The Comox Valley appreciates the convenience of having a international airport within 5 minutes of downtown Comox. This airport features direct flights from here to Alberta, Vancouver, Mexico and the U.S. The airport has been busier than predicted every year and is very friendly and organized. 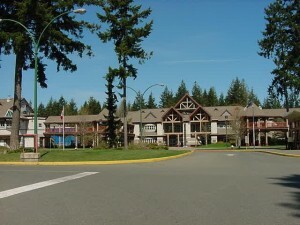 This riverfront park was previously a Seasonal BC Lions training camp and features tennis courts, outdoor pool, water park, racquet ball, and more. 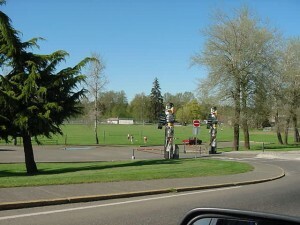 Across the street is Simms Park where the gazebo is used for music outdoor concerts from time to time. Visit this area including 5th St. for our boutique shopping and cappuccino with a small town atmosphere. We recommend you visit the art gallery, our beautiful cedar library, and our natural food providers including juice, tea, and produce stores. This area loves Market Days, antique car show and the local Colours festivals where the main street is shut down for lots of fun for all ages. Parades occur a few times a year including Canada Day and Santa parade. 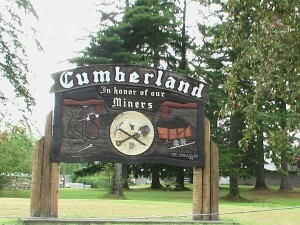 Located in Cumberland, this lake is larger than one would expect. 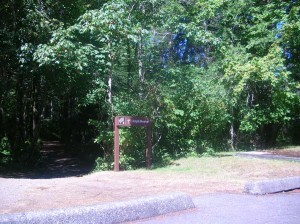 Main access from Cumberland, there is a boat launch and campground. 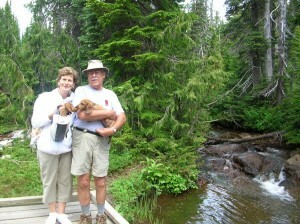 Glacier water off the mountains provide spectacular views and walking areas. Unique swimming experience in fresh water rolling over smooth rocks into little pools. 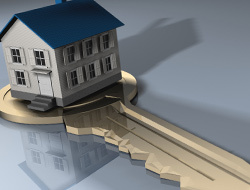 The sound of running water is everywhere. 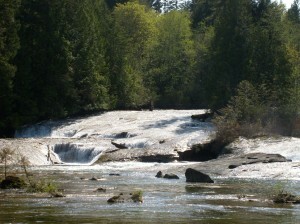 At the top of Forbidden Plateau, you can also check out Nymph Falls with nature park, and trails around different water ways. 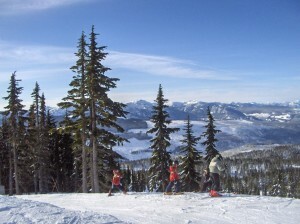 This ski hill is one of highest mountains in B.C. Winter time, enjoy a cup of hot chocolate after a day of downhill and cross country skiing or snow shoeing. In the summer time the hills are alive with mountain bikers taking the chairlifts up into the mountains. It is nice anytime of the year to catch some fresh air and a different vantage point in life. 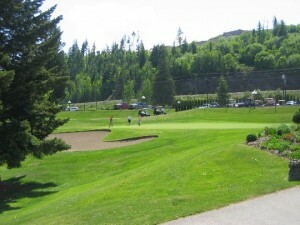 This golf course is one of the locals favourite golf courses. 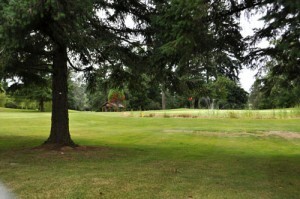 It is one of many in our area that boast of year round golfing. 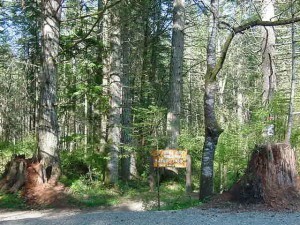 North of town, this large nature park features a nature house, campground, amphitheatre. This beach has nature under every rock and large trees and ground covers. There is educational tours of this beach where we can all learn how to co-exist with the nature around us. 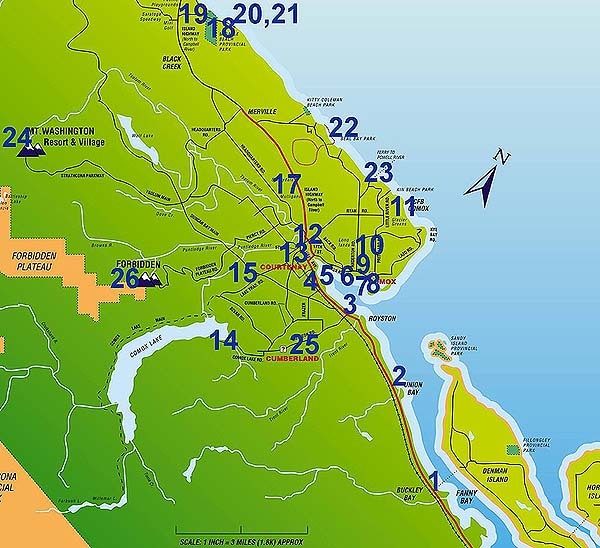 This course is located near sandy beaches and is half way between Campbell River and our area. Sandy beach anyone, this beach is beautiful with the occasion pedal boat passing by. We have a lovely mini-golf provider on the highway, and lots of little highway stands with fresh bread, eggs, and cut flowers. Black Creek also has registered artisans with paintings and metal art. 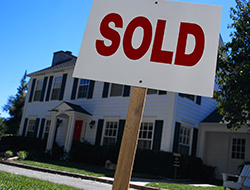 Large trees and well maintained cedar trails and stairs take you to the ocean. 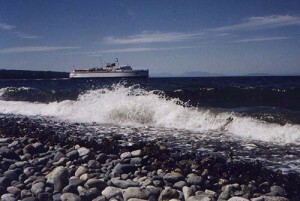 View of cruise ships in the evening. Fish from shoreline. Beautiful newer facility complete with Stan Hagen Theatre. Antique auctions and historical coal mining town. Nature Hike, located on Mt. Washington. Pick your limit.